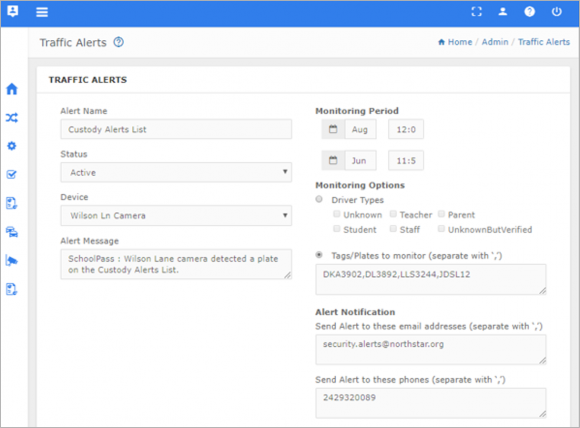 Identify threats in real-time and keep students safe with SchoolPass security cameras. SchoolPass screens vehicles arriving and departing your campus with license plate cameras and RFID/toll tag readers. Gates can be opened automatically based on customizable access rules. In an emergency, every second matters. When an unwanted vehicle is detected, security personnel are notified. Integrated real-time attendance data allows staff to account for students quickly. Easily notify parents, first responders, and key staff members with critical safety status updates. Parents can change carline pickup schedules and create authorized driver lists from the SchooPass App. 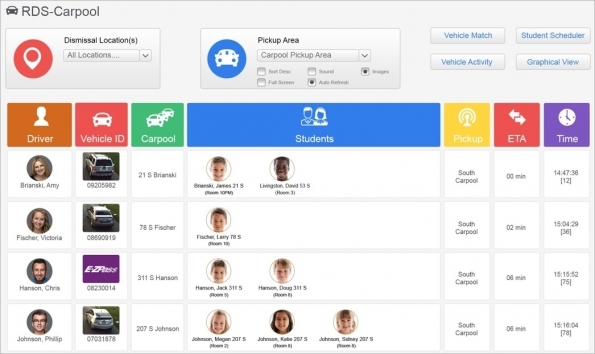 Teachers are automatically notified when authorized parents/drivers arrive for pickup, and when to send the child to the pickup area based on dynamic ETAs. Carlines are 50% faster and you can be sure that every student is with an approved driver. 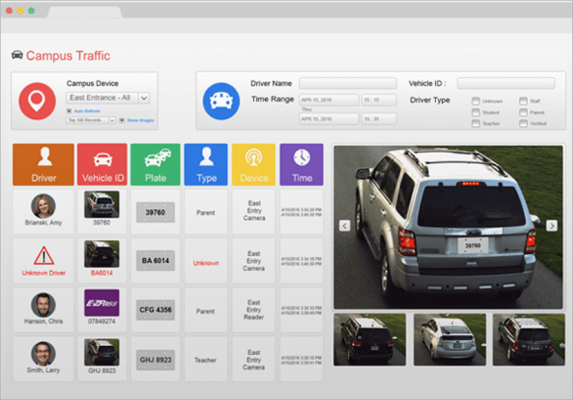 "SchoolPass brings us unmatched levels of security"
SchoolPass is much more than just security cameras. SchoolPass offers a suite of safety and efficiency solutions that are seamlessly integrated with your Student Information System. © 2018 SchoolPass All Rights Reserved.